With the current terrible events Nepal dominating the headlines, the power of the planet is front and centre on our television screens once again. Although there is always the Monday-morning-Quarterback who "predicted" the Big One was coming from watching his fish swim in circles or local sheep climb mountains, it remains an alchemists dream to actually be able to do so. 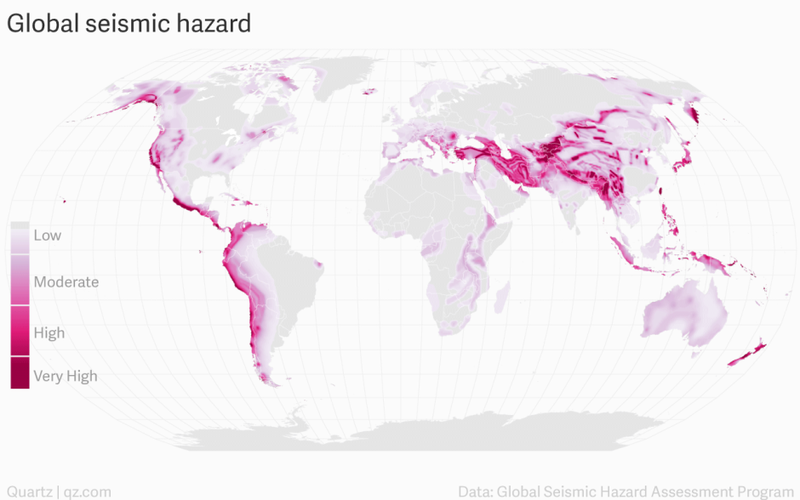 The science of today can predict (to an extent) where an earthquake will happen but not yet when. Even then, Kobe was on a surprise unknown fault line and no one believed Tohoku could produce a 9.0. 1 Ensure there is nothing over the bed that can fall on you. Earthquakes happen at night as well as the day and the last thing you want is your favourite glass-framed picture landing on your head when one does. 2 Have a communication plan with your family. In the event of a major incident the phone lines will be down within minutes and may remain out of action for several days. But anything internet based may still work including Skype, Facebook, Twitter etc even from your phone. 3 Know the school policy in the instance of an earthquake. Do you pick the children up or will they be sent home? And then, what happens if neither is possible and night is closing in? 4 Set the "Find-my-Phone" system for your family's smartphones. After the first thirty seconds of shock the next thing you're going to be thinking about is where's your family. Once you know that, it is so much easier to decide what to do next. 5 Prepare an earthquake bag. In fact, prepare two and keep them in separate places in the house in case one becomes unreachable. Include the standards: water, money, basic medical kit, rain covers etc. And use a bag with wheels. You might be walking with it a long way. But most of all, don't worry about it everyday. Enjoy your life. As far as we know, it's the only one you've got down here.